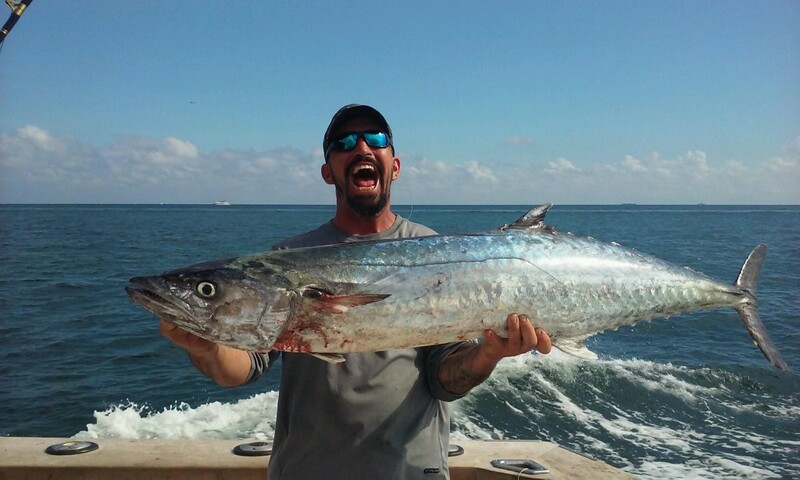 A huge kingfish caught sportfishing in Ft Lauderdale. There’s a good variety of fish biting on the Fort Lauderdale rip. The little chill spell we had this week got the sailfish frisky. Sails are biting in 130-180ft of water, right on the current edge. Trolling and kite fishing are both effective techniques for sailfish, but kite fishing is usually best. You can’t beat a fresh and frisky live bait suspended out of the kite. There’s a lot of big fish moving through our waters this month. This is the peak of sailfish season where you have the absolute best chances at catching one. It’s also the unofficial start of our shark fishing season. The main season for shark fishing is February through May, but there is usually a BIG flurry of big sharks that come through our waters this month for a few days. It’s kind of a prelude to the main shark season. Bottom fishing deserves a big mention this month too. 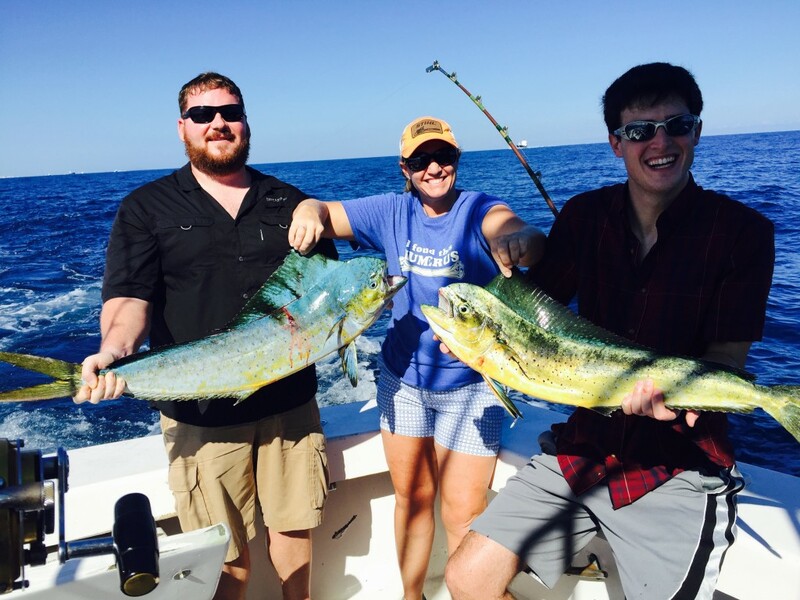 First off, our drift fishing trips do mostly bottom fishing… drifting by day and anchor fishing at night. Snappers bite very good this month. Snappers bite pretty good during the day, but they bite the best at night. 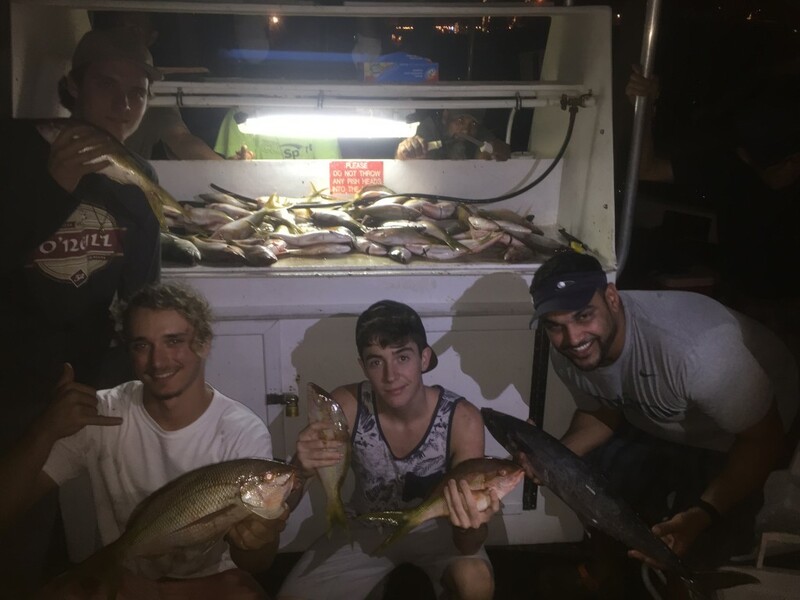 Night anchor fishing can be quite good for catching yellowtail and mangrove snappers. They are the shallow water snappers and when we chum, they can swarm in good numbers on some nights. 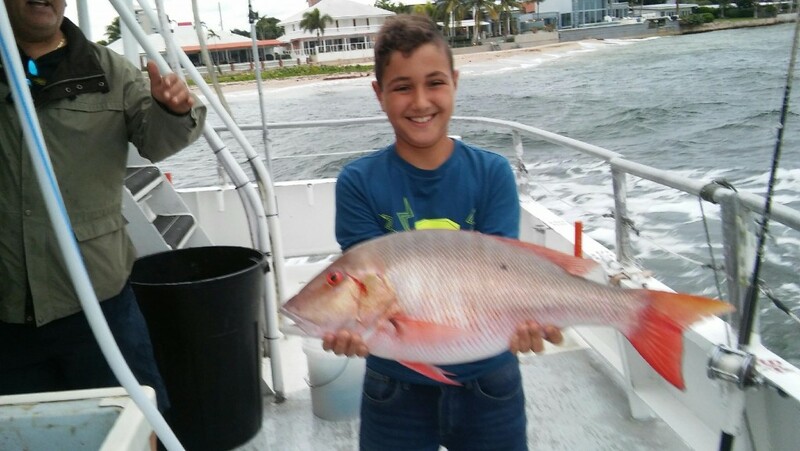 Daytime fishing is good for mutton snapper, the bigger snappers that we catch. Drifting is a good method to target these larger snapper as well as groupers, jacks and other bottom fish because the boat covers a lot ground drifting over the reef. Even though it doesn’t seem like the boat is moving, you actually are moving at a pretty good pace, carried by the wind and current. 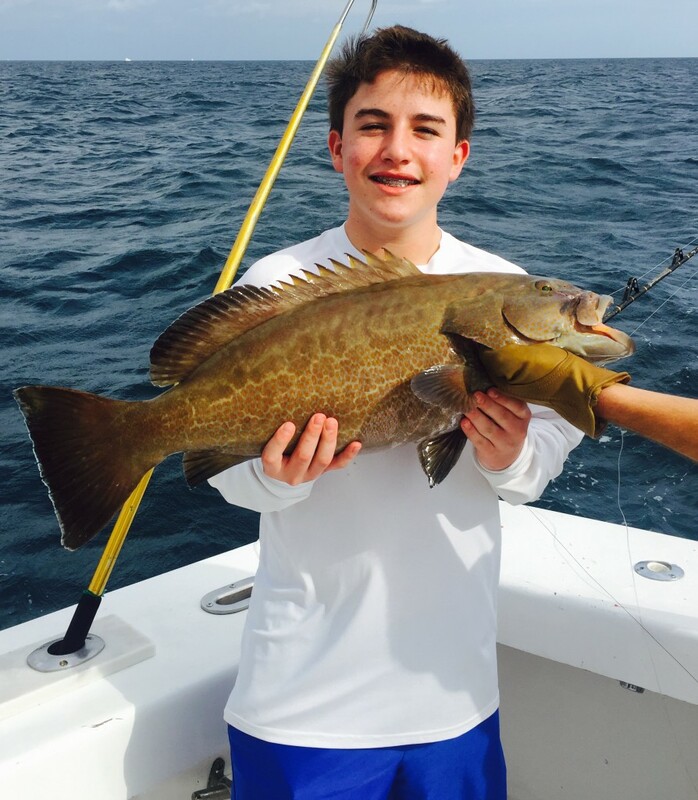 We get a lot of bottom species drift fishing during our day trips including mutton snapper, black grouper, almaco jack, and literally over a hundred other possible species. Wahoo and blackfin tuna are also lurking the reefs. They bite particularly well around the Full and New Moons. Blackfin tuna and bonito schools patrol the reefs this time of year to hunt schools of small sardines and pilchards. There are also some very large kingfish around on the reef out there too. This is the time of year that anything can happen… and does! We catch some of our largest gamefish of the year in January. Good luck to everyone fishing this month. I’ll sea ya on the water. 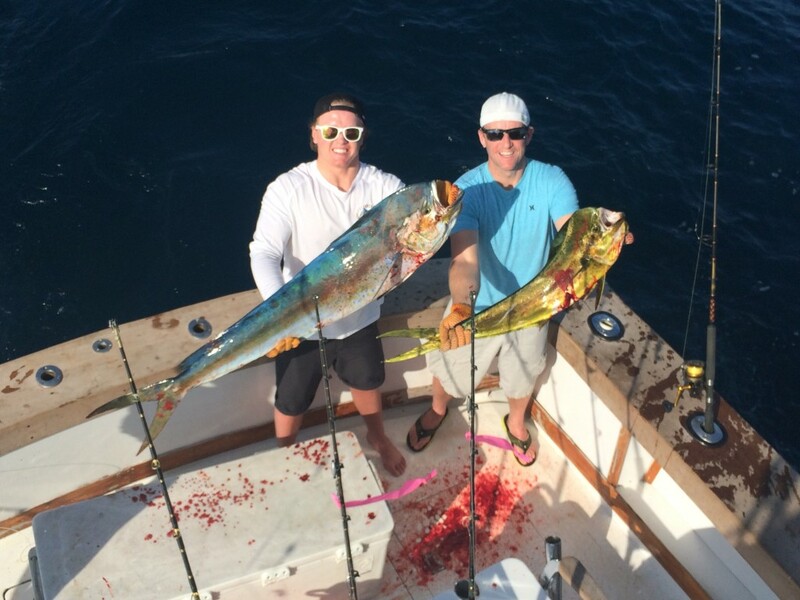 Couple of dolphin caught on our sportfishing charter. LOTS of snappers on our night anchor trip in Ft Lauderdale.